For catering the variegated demands of our respected clients, we are highly engrossed in providing a wide range of Oil Scraper Ring. - Scraper rings wipe oil from the compressor rod's surface and contain it within the crankcase or oil source. We are Manufacturer & Exporter of Oil Rings. 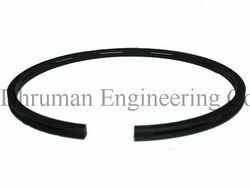 These oil buffer rings manufactured and supplied by are used in disk assembling of different automobiles. They are designed and processed in our unit and are available in various shapes and sizes as per the needs of the buyers. This immensely popular automobile product is available with us at an affordable price. Oil buffer rings are safely packed to avoid damage during the transit. These oil buffer rings are used the disk assembling of various automobiles. Designed, manufactured and processed by us , these oil buffer rings are available in different shapes and sizes. This immensely popular automobile product is available with us at an affordable price and is safely packed for longer life and durability. An oil ring is an important part of an engine located on the bottom of a piston. It allows oil to pass through the Piston Ring and lubricate the cylinder wall. 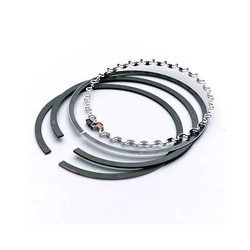 This part is made of three pieces: A top and bottom ring made of a thin steel ring surrounding a perforated and wavy spacer that allows the oil to pass through.